Hi Guys welcome back again to bigtricks. In this post, i will tell you about Flipkart Bid and Win offer and win Goodies at your lowest unique price. Now 6 days left for flipkart Big 10 Sale, but to attract their customers they are launching some offers, last time they are giving Lenovo phab 2 at just rs 10. Now they launched Bid and Win challenge. In this, the lowest and unique bidder will win at can took that goodie at its bidding price. The offer is from 9th September to 24 September everyday and everyday new product will be added. 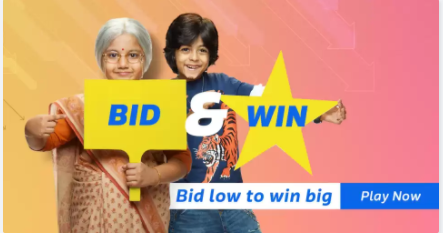 Now let’s start the topic on Flipkart bid and win offer…. On Dashboard or Homepage, you will see BIG 10 SALE page. Just click on it. Now Enter The lowest Unique Bid. On the next page click on BID NOW option. Now enter your Lowest Unique Bid Price. And click on SUBMIT. Enter any Bid Price between 12 AM and 11:59 PM. The UNIQUE & LOWEST bid will be selected as winner that day. If a person wins he will get that product at its BID PRICE. The Offer will commence on September 7th, 2017 and end on September 19th, 2017 (“Offer Period“). Must have the sufficient number of Points (defined hereunder) to be eligible to bid. 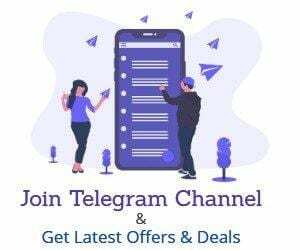 The Offer will be run in one spell of 23 hours on every day during the Offer Period (i.e. 00:00 hrs to 23:00 hrs) and each such spell will be treated as a single bid period (“Bid Period“). In terms of this Offer, in every Bid Period You will have a chance to bid, on the Offer page, for the lowest price (cannot be a negative value or zero) of the product on Offer for the corresponding Bid Period (“Offer Product“). The participant with the lowest and unique bid (lowest bid price for the Offer Product which no other participant has entered) (“Winner/s“) shall stand a chance in terms of these T&C to purchase the Offer Product at his/ her bid price, exclusive of delivery charges (if applicable). If you need any help,you can comment below. We will surely help you out. Can anybody tell me the winner of 15 May Contest?